Things are happening at the Tip! Vrilya Point is currently closed but we can now hope not for the whole season. 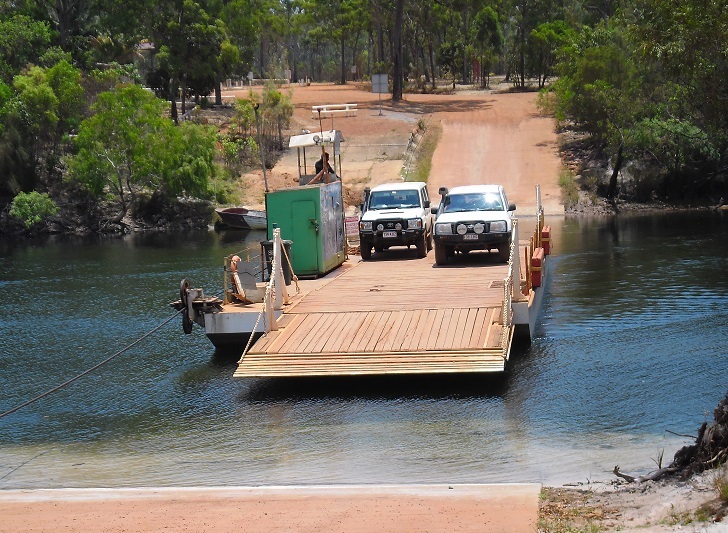 The notoriously high Jardine River Ferry ticket price has dropped to our surprise! 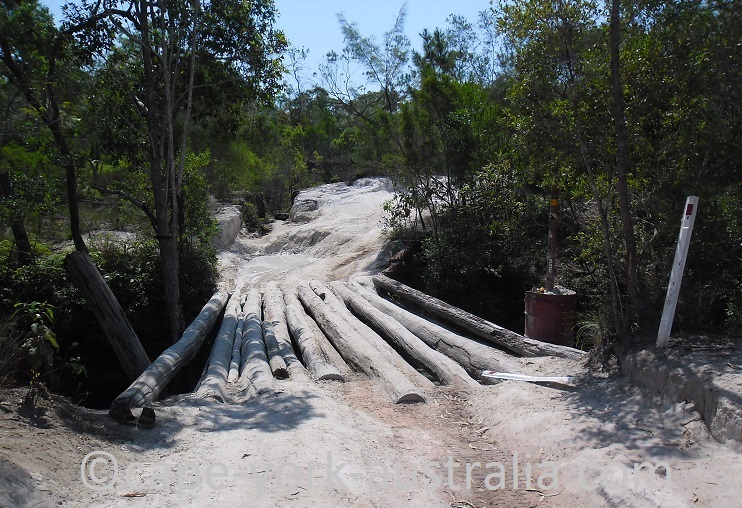 About a week ago, Vrilya Point was going to get closed for the 2015 season, for safety for travellers as the old Crystal Creek log bridge is nowhere near as good as on my photo below. Some people who had made their way around the bridge had been told to pack up and go away from the beach, and it was said Vrilya Point will not be open this year. A couple of days ago, however, things improved when it was said that it is ok to camp on the beach if you can get there other ways, and also that they are now planning to fix the bridge within weeks and the access should be regained after that. You may remember the shock when in 2013 the ferry ticket price went from $90 to $130 over a night for no apparent reason. Yep, if you haven't been up here yet, that's all it is, so no wonder people feel it's a rip-off and some still try the Old Ford. Not sure what pushed them into the decision but luckily for all us travellers - the crazy price dropped this year, just as quietly as it went up in 2013 - it is now $99. If you have the guide, you can go back to your purchase confirmation message and grab another download - the new version is up there now. If you have any problems please let me know and I will help you. NB! I am going to be away this weekend, from Friday morning - it's been a long four months with no bush camping!